Flower Inspiration: Always In Style! It really is true: Decorating with flowers never goes out of style. Year after year, season and after season no matter your style flowers add beauty to absolutely any space. Flower inspiration comes in all forms, real or faux, inside or out. We love the charm, elegance and style they add. 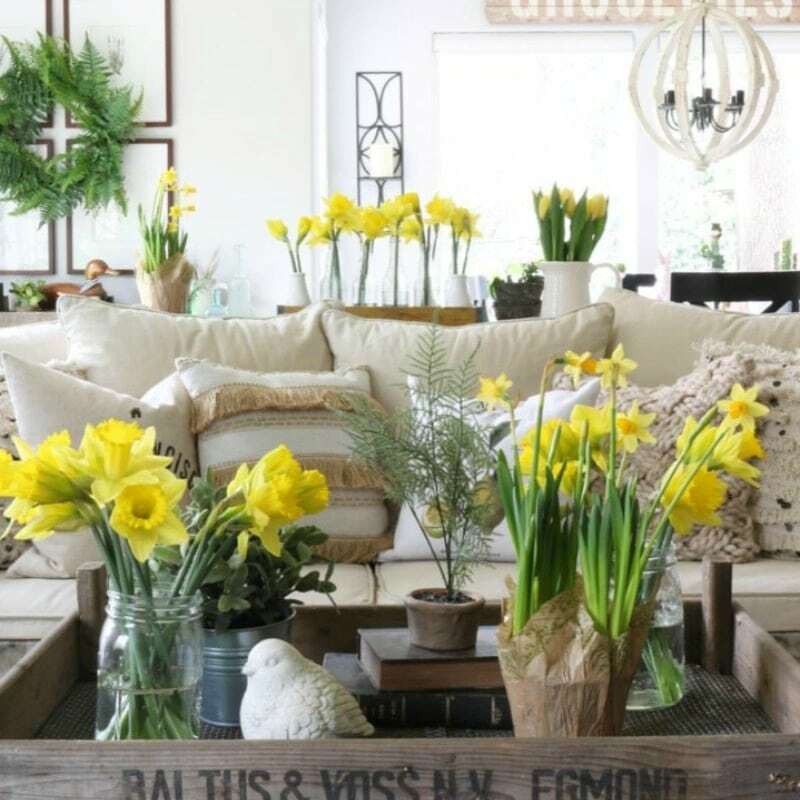 So in this post we are going to show you some great decorating ideas to inspire your use of flowers in your home. 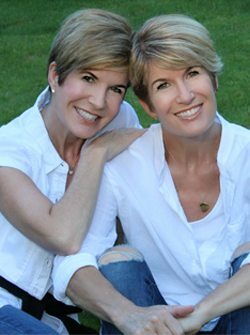 Jodie and I have a passion for flowers, and is it any wonder? Relatively affordable they pack a powerful punch in the scheme of decorating. They can bring a table or room to life. 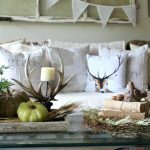 Besides pillows we don’t know any better or easier way to add a bit of change, a pop of color, or a finishing touch to any room. 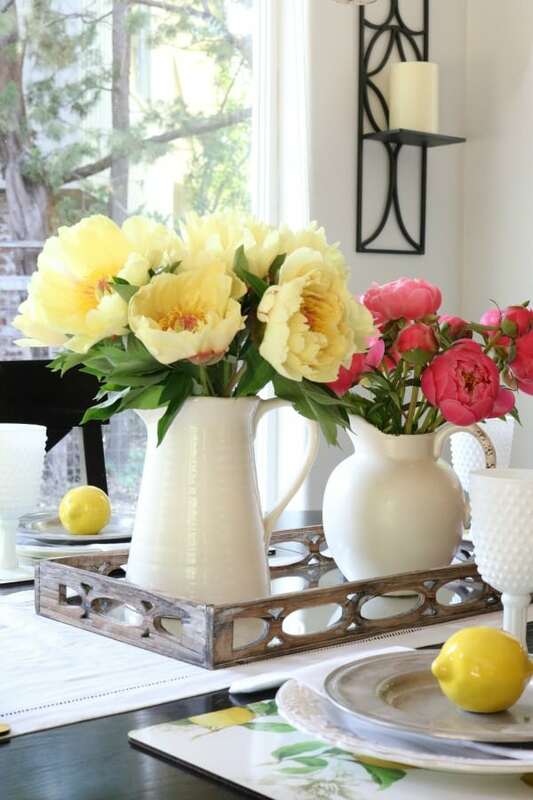 Whether you are setting a table or dressing up a coffee table we love flowers….and we bet you do too. Here are some of the ways we decorate with flowers every day. Welcome to another week of Friday Friends Parade! Every week we love this more! Why? Because we absolutely love seeing your posts and also the chance to SHOWCASE your talents!! 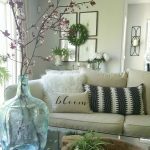 This is our weekly link up party hosted by Julie & Jodie and our two besties, Janine Happy Happy Nester and Ashley Modern Glam Home. It’s a fun opportunity to share Crafts, Decor, DIY and Recipes! Join us each week Friday am – Wednesday pm to explore new talent and if you’re a blogger, share your own favorite projects by linking up at the bottom. Each week we feature our favorites from last week’s parade! 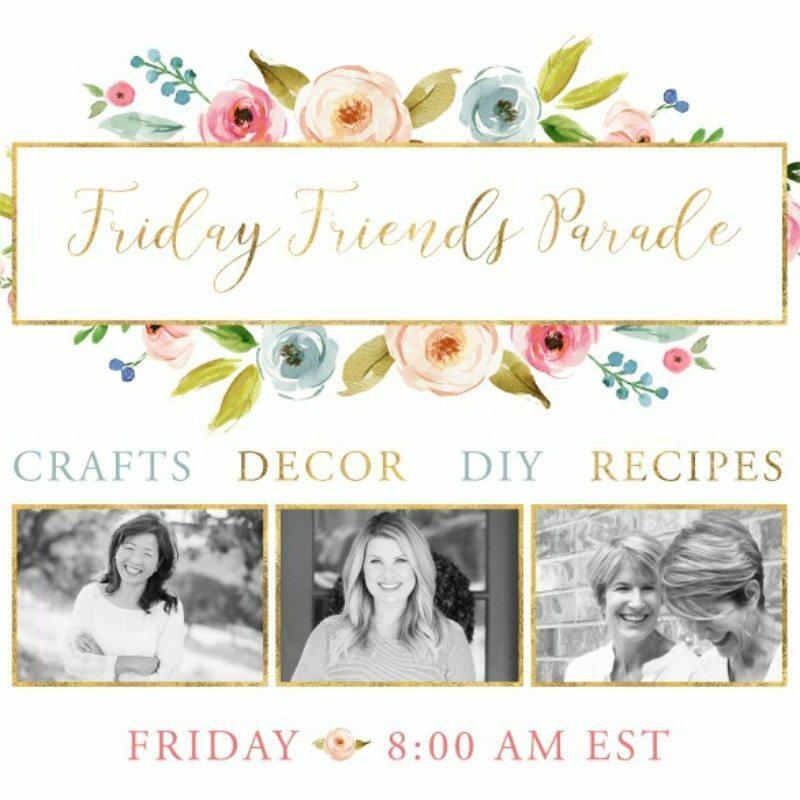 Be sure to check out Last Week’s Friday Friends Parade Linky Party for wonderful decor, garden, craft & recipe inspiration. Friday Friends Parade is a forum for encouragement and sharing. 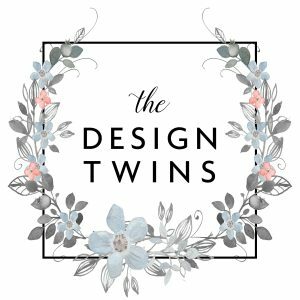 It’s a place to be inspired, meet new friends, and show off your projects and posts! We are so excited to see what you’ve got for us this week! ENJOY! When Jodie and I saw this stunning front porch display we were just dazzled. 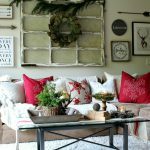 Kim and her daughter Lacey blog at Styled With Lace, and this is just one example of their unique talents! 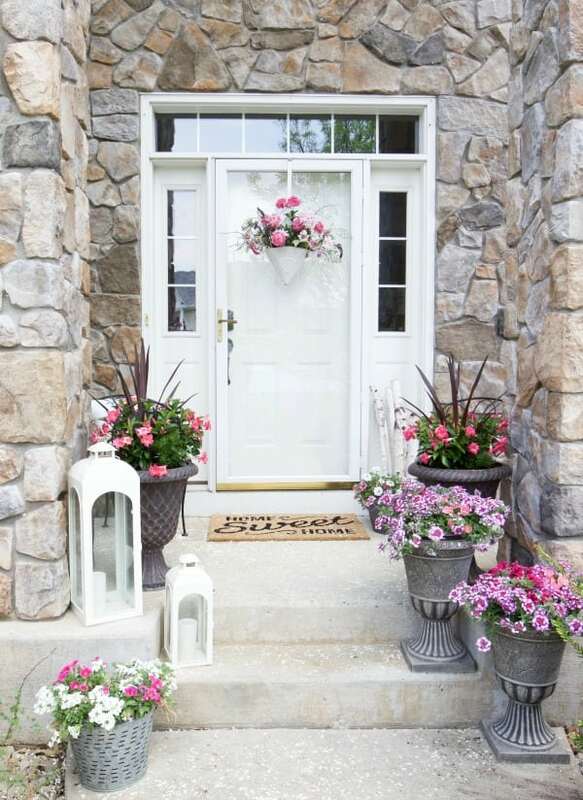 This perfect front porch shows how you don’t need to have a huge porch to make a beautiful and memorable statement. Jodie really is a master at flower inspiration. She is passionate about flowers, and it shows! 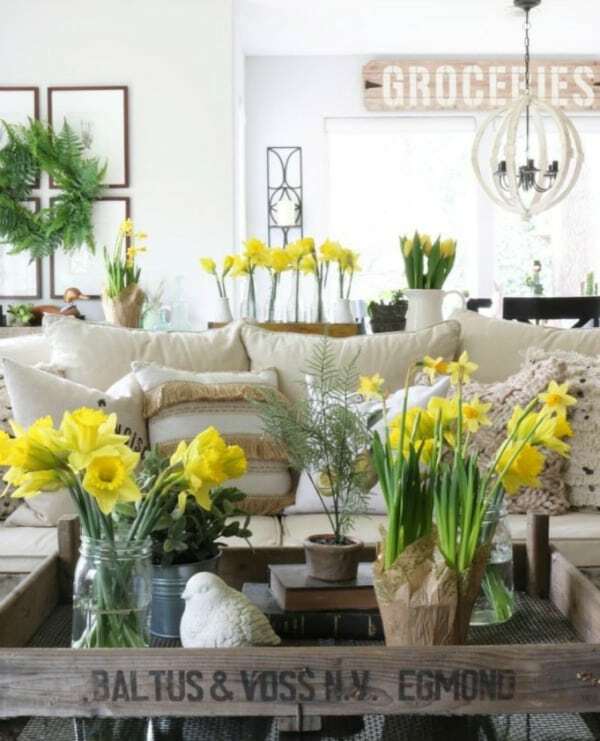 Want more ideas?Enjoy Our 8 Best Spring Decor Ideas for plenty of flower inspiration for your home! 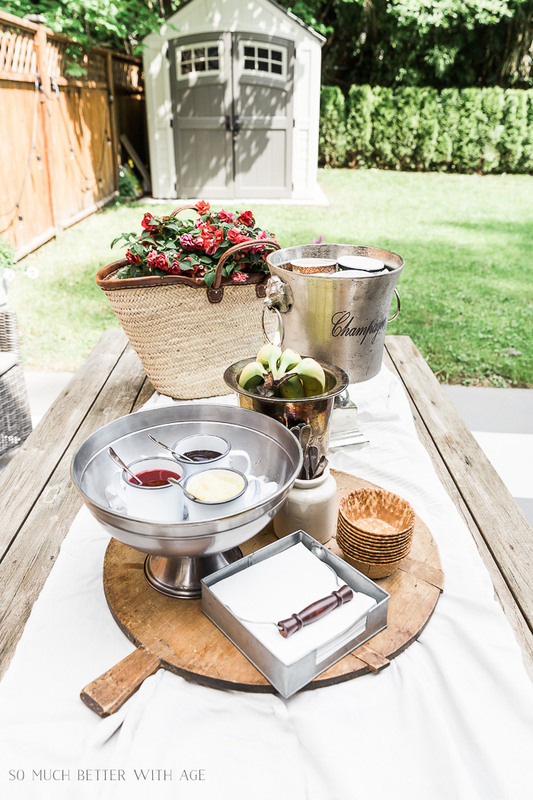 Jamie from So Much Better With Age shared this fun and creative Banana Split Outdoor Party. This isn’t just a party for kids! I love how sophisticated and glam this party is! And what a fun way to end a summer soiree! 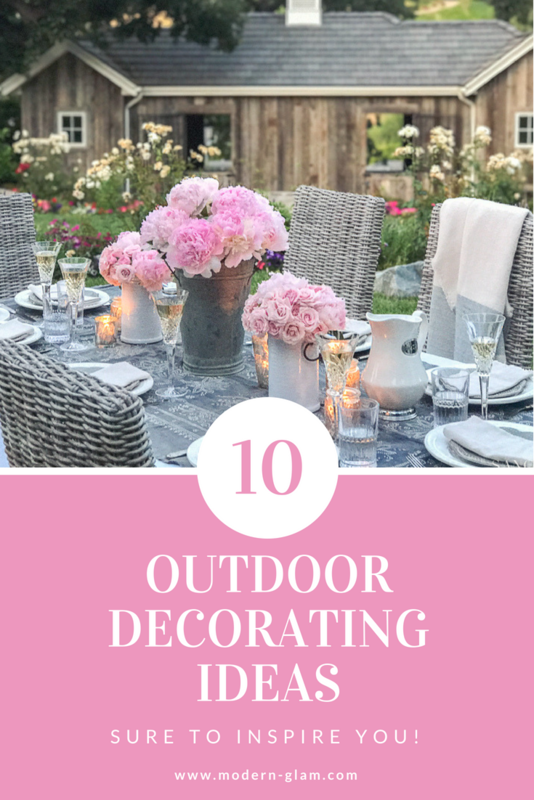 This week I shared 10 Outdoor Decorating Ideas. From tablescapes, to front porch decor, there are so many ideas that are sure to inspire you! Let the summer season commence! 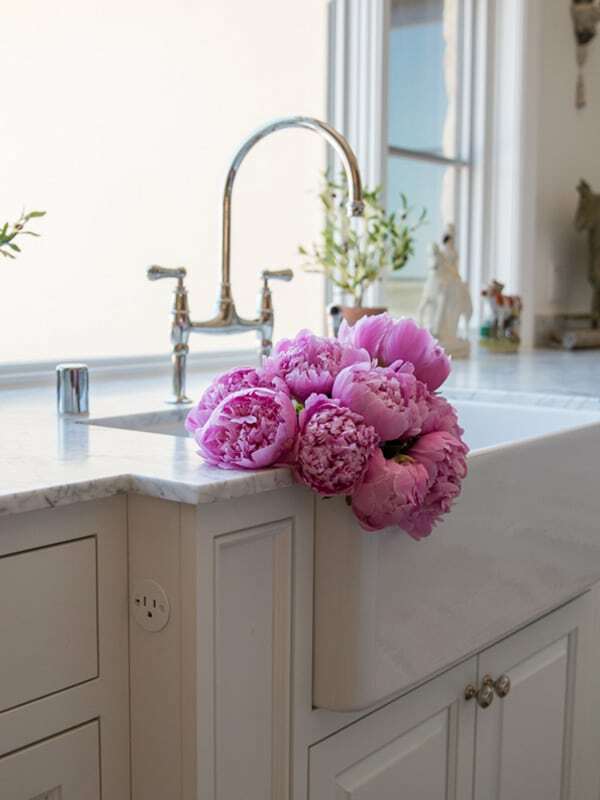 Angelina from Petite Haus has an excellent article filled with gorgeous photos of peonies. 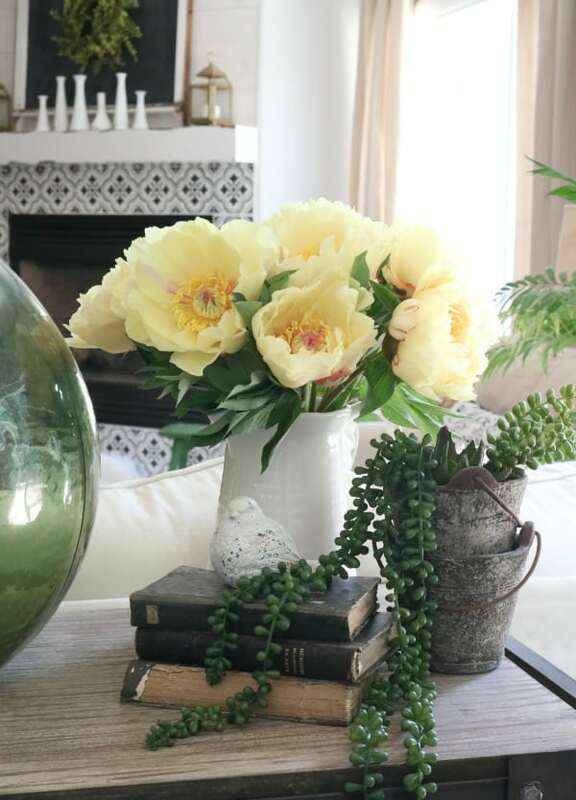 She shares how to care for your peonies once you bring them home. For instance, how to get them to bloom faster! 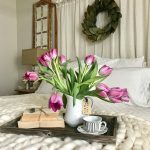 Hop on over to Petite Haus to see her beautiful home and flowers! 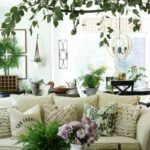 This week, I partied with a long list of bloggers, and we shared our summer colors in our home. 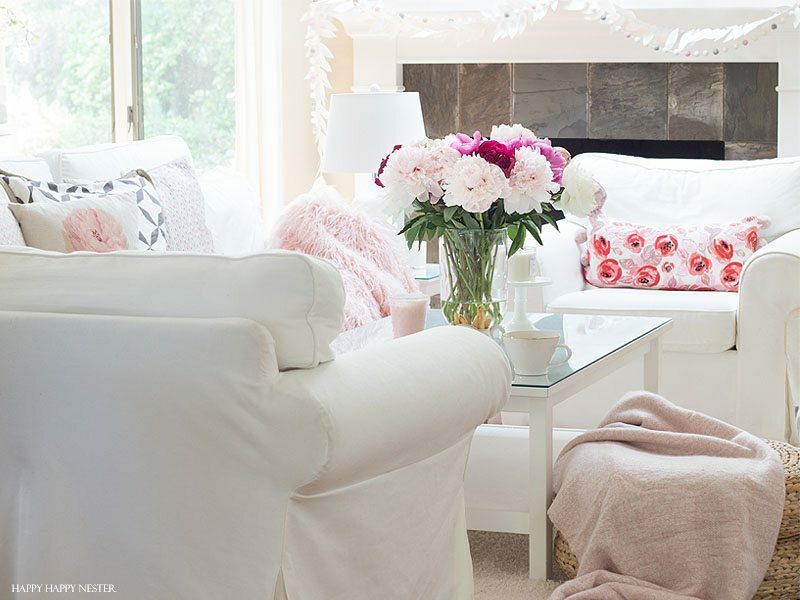 Did you know that my room all began with my pink peonies bouquet? And to my surprise, it inspired the rest of my decor. I hope you can check out my pretty bouquet. Lots of flower inspiration in this Linky Party Post! 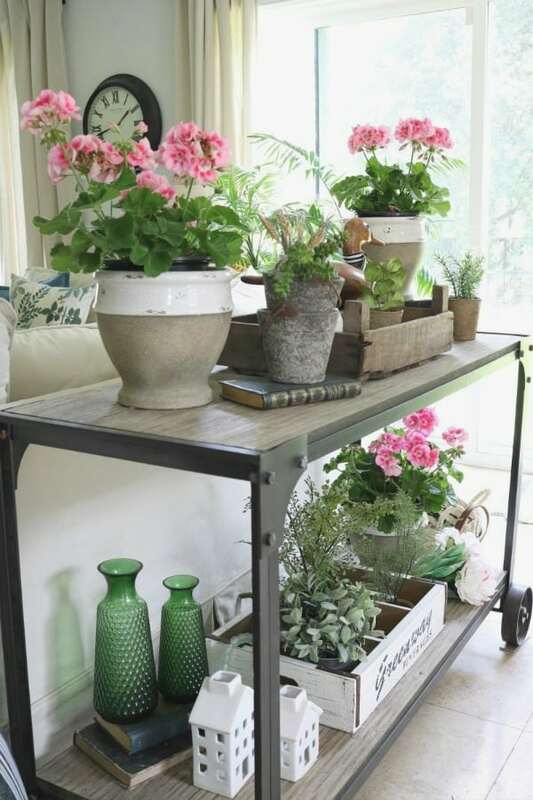 Decorating with flowers is easy, inexpensive and fun with these helpful tips. Our linky party is open again to feature, link, and generate awareness of our talented blogging community. Link Up and be inspired! Thank you so much for hosting a lovely party! Have a wonderful weekend! Beautiful features this week! Have a lovely weekend! I will be welcoming my new granddaughter into the world this morning! Thank you so much for featuring my outdoor banana split party! Thank you girls so much for the feature! Lacey and I really appreciate your continued support! !